Just a little more than one more week to our trip and believe me we haven't booked any hotels yet. I hope it won't end up being unaffordable. There are so many things to get done before flying away, I am hyperventilating just by the thought of it. But still I have many pretties to share with you in the upcoming days. I have gone to the counter to swatch and play with the relaunched Chanel Rouge Coco lipsticks (you can see swatches of all shades here). I then picked up some favorites and I knew I had to get #416 Coco because it looked like it might be special to my collection. Then I was contemplaiting to get Erik because I can't resist anything purple but ended up finding it a little wintery. So instead I opted for #454 Jean. They also gave me a mini Arthur, so here are my thoughts and comparisons of these two shades as well as a more detailed look in the formula. 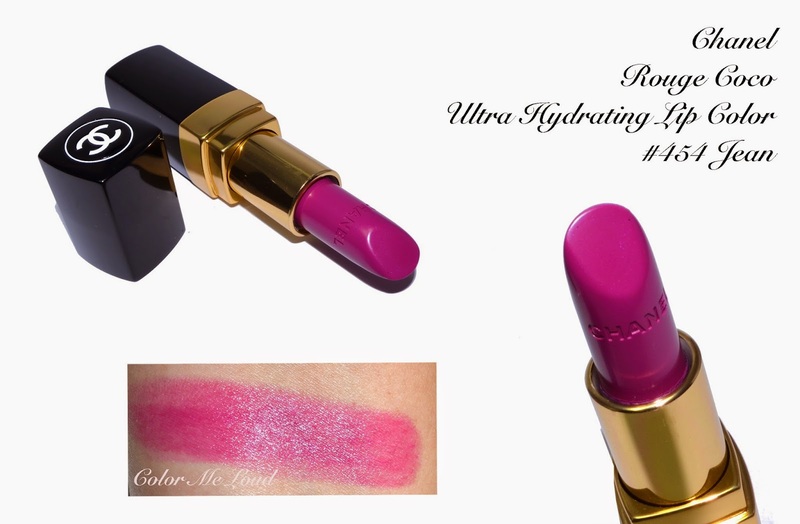 Chanel Rouge Coco Ultra Hydrating Lip Colour #416 Coco is a mid-toned coral which is more orange than pink but there is definitely some pink in there to make it work for my natural undertones. Like all the other new shades, this also has a certain transparency which makes it more wearable if you think you can't pull off a color. It is also very hydrating and has moderate lasting power on me. I was hoping that it would be close to one of my all time favorite coral lipsticks, Tom Ford Lip Color Shine #05 Sweet Spot. Actually it is quiet close but warmer than that one so a little trickier for me to pull off if I don't pair it with warm blush and eye shadow. 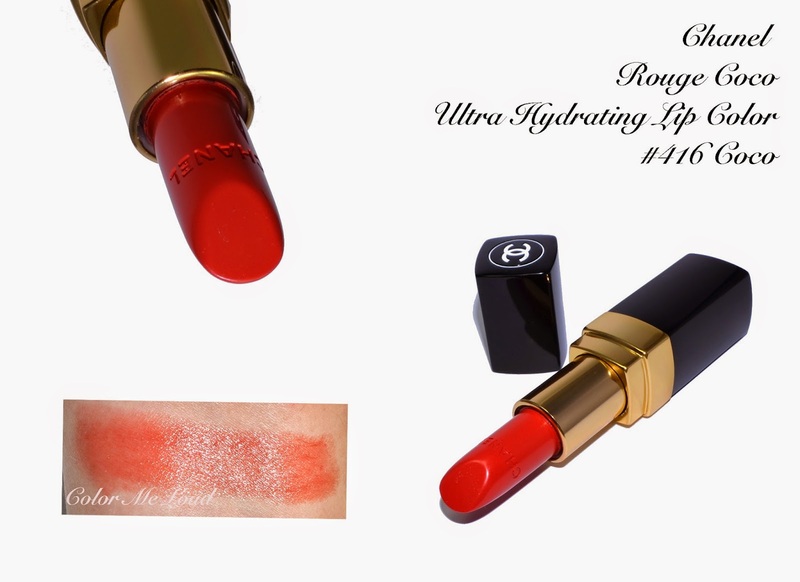 I also compared #440 Arthur for you, which is more of a red coral than #446 Coco, which comes close to Chanel Rouge Allure #133 Conquise. I prefer the lasting power and formula of Rouge Allures but new Rouge Coco might be good for a casual swipe and go day. 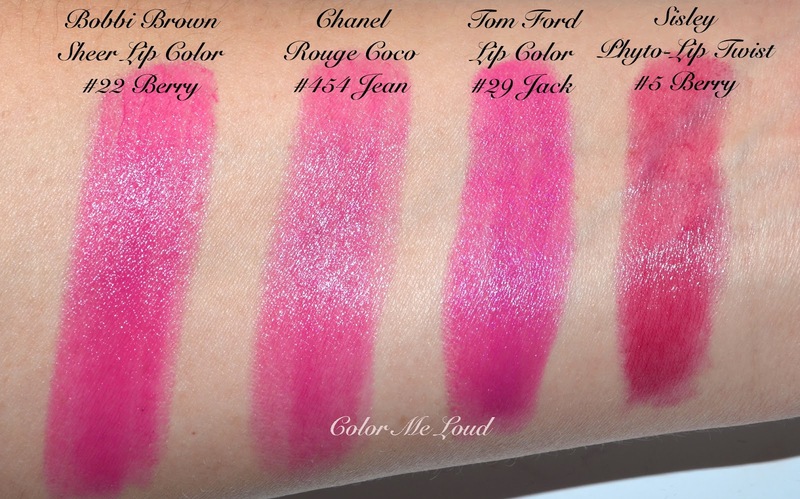 Other colors I pulled out of my stash are Guerlain Rouge Automatique #171 Attrape-Coeur and Chanel Rouge Allure #136 Melodieuse which is cooler than both Coco and Arthur. I am not surprised since I always gravitate towards pinkier shades. So Chanel Rouge Coco #416 Coco is indeed a unique shade in my stash. 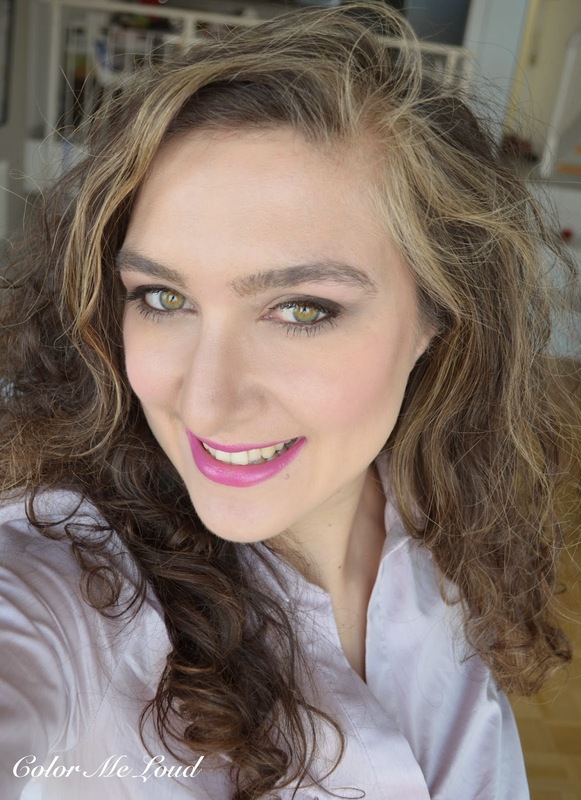 Here is the FOTD from orange blush post (!) earlier this week. 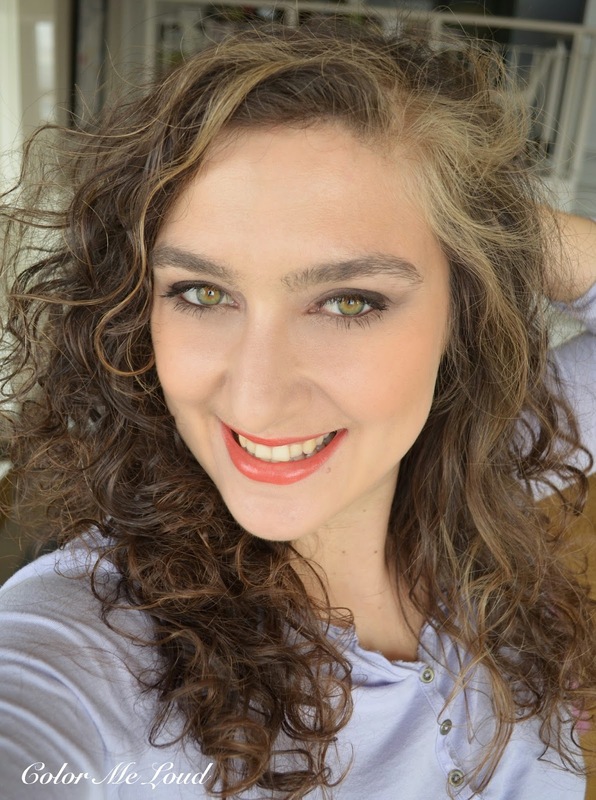 I am also wearing By Terry Smoky Nudes Palette on the eyes (reviewed here). The more I wear the eye palette, more my excitement started to die unfortunately. I will try to summarize my thoughts when I review Color Design in a few days. All in all Rouge Coco #416 Coco is a little warmer than I hoped it would be. It seems the most orange I can go is Tom Ford Sweet Spot without supporting it with eyes and cheeks. Coco certainly needs a warmed up complexion to work on me. Then I wanted Erik and ended up with Jean, so is a woman's life, love and be loved *grins*. Anyhow, Jean winked at me and I couldn't say no. Came home to just find out that he is nothing special *sigh* but I come to that later on. Chanel Rouge Coco #454 Jean is a mid-toned fuchsia. This one is also semi-sheer, which makes it wearable. It also has moderate longevity on me, 4-5 hours if I can hang on there and not eat. Coffee is fine though. Remember the berries post from last week? Jean would be the perfect candidate for Tom Ford #29 Lip Color Jack and Bobbi Brown Sheer Lip Color #22 Berry. They are both very close, Tom Ford Jack is the most vibrant out of three, Bobbi Brown Berry is so much love and not so sheer. And check that out, Chanel Rouge Coco #454 Jean is more sheer than Bobbi Brown sheer, go figure. Anyhow, it is just a tad warmer as well so I am guessing if you have a warmer complexion, you can pull off Jean better than Jack or Berry or go for something even warmer, like Sisley Phyto-Lip Twist #5 Berry. Jean is definitely an easy to pull of kinda shade and I am loving it with minimal blush and natural eyes or cooler eyes alike. I love fuchsia for this time of the year and later in summer as well so it will get some use, that said, it is nothing new to my collection. A few thoughts about the formula. I find them more hydrating then the older formula but longevity is a little less. I think the semi-sheer light weight formula is lovely. If you want to invest in one of these, I highly recommend you to go for one with more vibrant colors. What makes Rouge Coco interesting is the transparency on the lips and therefore colors I usually can't pull off easily come out more natural. They are especially recommended if you have pigmented lips like mine and everything ends up looking neon on you. Then you shall not fear to wear any of those, no matter how crazy they look in the tube. Final thoughts: From the colors I have chosen, I found #416 Coco to be a little warm for my complexion but it looks fine with an orange blush. #454 Jean is lovely but not all that unique. 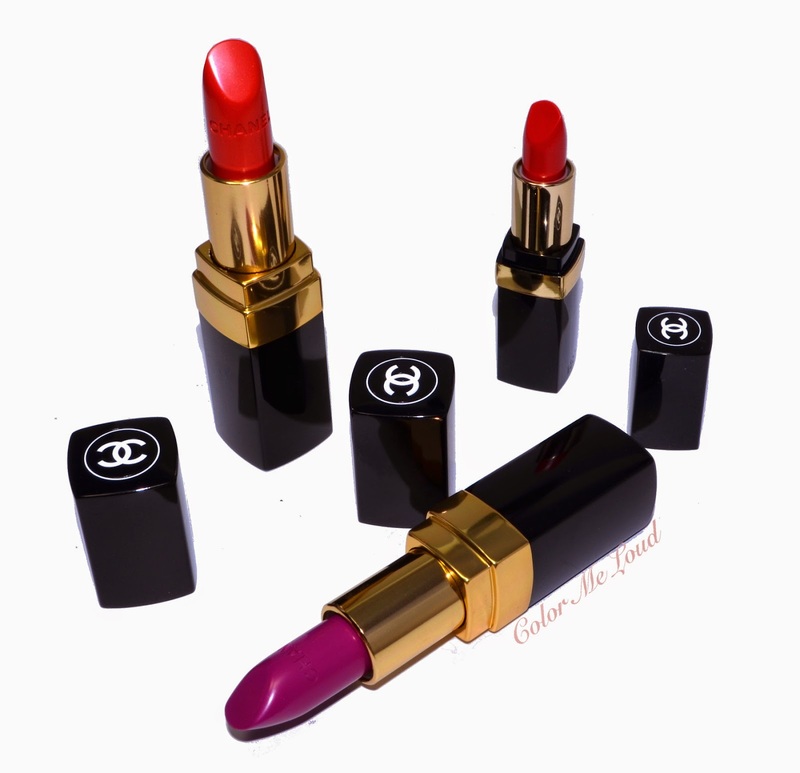 Chanel Rouge Cocos have 3.5 g/0.12 OZ of product and are priced around 33€. They are available now at your counter. So curious about why the By Terry is not working as well as you first thought. Both look amazing on you, and I think Coco is a really pretty color on you! I only picked up Coco thinking just like you (wanted something different from my usual pinks), and thank God, I like this orangey shade..but honestly I can't really see how these new Rouge Coco lipsticks are different from Rouge Coco Shine. I might have to compare the ingredients side by side. They're both so pretty... i'm not buying anymore makeup until I get the brow lift that hubby promised for my 55 birthday! They both look beautiful on you Sara, but my heart goes to Coco. Ravishing! I actually quite like the new formula. I find it very comfortable to wear, and the sheerness makes them good "swipe and go" shades. I picked up Sari Doré and Rouissy, but both you and Sunny have made me want to go back and take a closer look at Coco! My skin tone tends to pull everything very pink, so I like lippies with orange or coral undertones so that everything doesn't look Barbie pink on me. Oh that is exciting! Let us know when you get it. were you there already? What did you end up getting? That Guerlain powders are so orange, go for the blonde ones hahaha. LOL Linda, I am so envious how reds and pop pinks look on you, both gorgeous, that one Guerlain G in pink packaging, I wished it would look half as good on me. Does your lips also eat colors? Mine amplify everything, so all lip shades look neon on me, also not fun! I know you and I have similar tastes in the lip department lol. I am writing the review at the moment... Will be up in half an hour. I know, I am so in love with Jean but he turned out to be a little usual, hach! I am sure on you Coco looks fabulous! I have seen you with red lippies and they look so stunning on you. And I am there with you, Rouge Coco Shines were more balm and less pigmented. Then they revamped them and added new ones with more pigmentation, so far so good. Then they changed their Rouge Cocos which were not so shiny more satiny to more shiny and sheer formula and now they ended with two lines which are too similar. lol yes on me everything turns neon so Rouge Coco is one of the lines which I enjoy the sheerness and softness of since Allures are sometimes too pigmented for me. I am sure you have something similar to Jean, it is flat fuchsia lol. Coco is really beautiful, there is nothing wrong with sheerness, I like it too since everything turns neon on me lol. Staying power could be a little better but that is what you get with sheerness in the end. It is interesting your skin pulls everything pink, what is your undertone? Mine pulls everything purple hahaha. I got two eyetints and brow pomade.I got color matched to Maestro but I'm going to wait for a new version of M (for dry skin). I got the lightest Jolie Teint and I like it. I have cool, red undertones, but slightly warm overtones, which means I can't pull off anything too warm-toned, but look best in colours that have a slight warm tone, like warm pinks and corals. I think both colors look great on you. I don't think the orange is too warm for you, and the fuschia makes your eyes pop. I always love fuchsias :-) That must be why. thanks, yes I selected shades for Spring/Summer. I will go for moodier ones and pick up a few more before Fall starts.